New york yankees won the World Series. I watched the Mission Impossible. Tom Cruise is my favorite actor. 미션 임파서블을 봤다. 탐 크루즈는 내가 가장 좋아하는 배우이다. 백화점에서 대대적으로 세일을 하고 있다. Samsung LIONS won against Doosan Bears today. 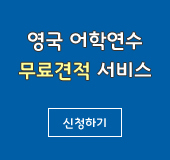 삼성 라이온즈가 두산 베어스에게 오늘 이겼다. My father watches the news programs everyday. 아버지는 뉴스 프로그램을 매일 보신다. The department store was destroyed by the earthquake. The K-POP is popular all over the world.